So, I didn’t realize until I began writing this post that I totally forgot about my monthly obsession list for June! I can’t believe I missed last month; this is one of my favorite posts to write! Oh well, thankfully I remembered this month! Without further ado, here’s a few of my current favorite items for July! My first obsession for this month is graphic tanks – specifically “beachy” graphic tanks. Honestly not sure where this current obsession came from because I did not own any graphic tanks (or tees) until I recently purchased these two from Express. I needed something to throw over my bathing suit when I went to the pool, and I thought these would make a perfect cover up. I was right! I bought them both in one size up from my typical size so they would be a little longer and baggier. Express actually has a few other graphic tanks that I have my eye on. I just might get this one and this one to add to my collection. I got these cute gold sandals at Target at the end of June (on sale! ), and I have been wearing them non stop ever since! I just love them, and they are actually super comfy! These are actually the first pair of gold sandals that I have ever owned. Initially I was a little hesitant to buy them in the gold color because I tend to wear silver way more, so I was worried that I would never wear them. Fortunately, I was wrong, and I’ve been finding ways to incorporate them with my dresses, shorts, and skirts all month. 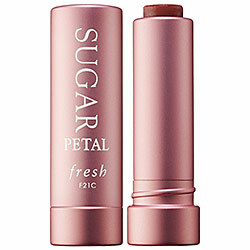 This isn’t the first time that Fresh Sugar Lip Treatment has made it to my obsession list (read about Rose here). I am beginning to love these sugar lip treatments so much I decided to try the Petal color. Petal is a subtle light pink color that is perfect for those causal summer days. It gives your lips a simple, natural pink “tint” – not a bold color like lipstick. It also has SPF 15, and it keeps your lips moisturized all day; a must for those days at the pool or beach. I have been wearing this literally everyday this month! What are you currently obsessing over this month?